Hesitant at first, but actually quite easy. I didn't realize the glue isn't initially tacky enough to hold ring to speaker or frame - in fact the glue almost causes the ring to buckle a bit. You must continue to apply steady, even pressure all around the contact area for several minutes until the glue sets to ensure a snug, bubble free result. I went back afterwards and added a finishing layer of glue to the edge where contact is made between ring and speaker cone. Results look professional and speakers sound great and appear to perform even better than before. I have these Epicure Model 5 speakers that started having these resonances. I bought the kit from SimplySpeakers, replaced the foam and now they are like new. Only thing is that the glue is really really sticky. Better watch out! Thanks for conveience,speed of delivery and simplistic directions. Took 10 min to clean off speaker cone and 10 minutes to finish repair. Let dry for a day and voila ! Again, Great company ! Fast Shipping, perfect item, easy installation. I much better solution than paying 10x to buy new speakers. I purchased the EPI 6.5" FSK kits to repair eight (8) 6.5" Midrange woofers in a pair of M-400 Epicure tower speakers purchased at our local thrift shop for $12.72. The kits worked perfectly. My wife and I could not be more pleased with the results. The m-400's sound magnificent. Great product. Easy to install. Cleanining old foam off speaker is the most time consuming part. A lot cheaper than buying new speakers. They sound great. A: Yes, this kit will fit the EPI 140C. Thanks! Q: Will these fit the EPI M50? 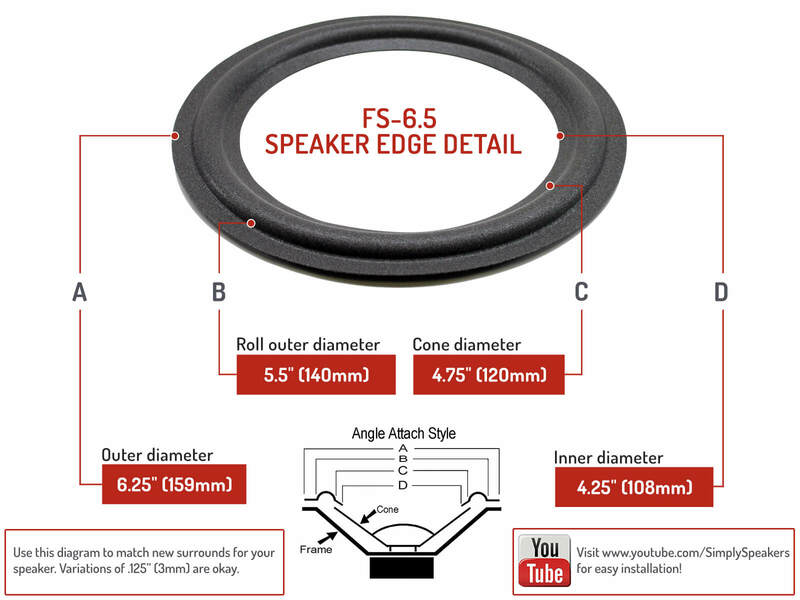 A: Yes, our EPI-FSK-6.5 kit fits the M50 woofers. Q: Do these surrounds fit the t/e 100 plus speakers? 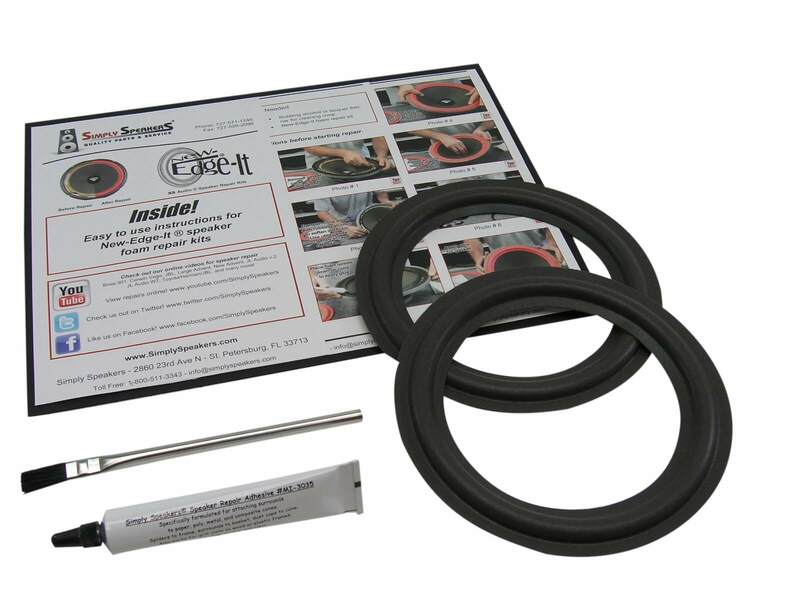 A: Please order foam replacement kit # EPI-FSK-8 for the TE-100 series woofers. EPI: 0949, 1025, 3, 70, 70C, 140 C, 140C, A-1100, A1100, A-400, A400, A-70, A70, M-400, M400, M-50, M50, M- 60, M-602, M602, Magnus 12 A12, Magnus A11, Magnus CD 60, Model 5, TE-70, TE70, Epicure 1.0, Epicure 2.0, and many more!